Defiance is the first multi-platform shooter MMO which interconnects with a global television program. 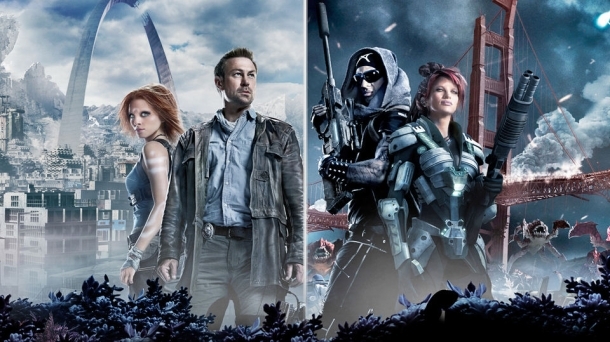 In Defiance players and viewers are introduced to a world where humans and aliens live together on a planet ravaged by decades of conflict. The game combines the intense action of a shooter, with the persistence, scale, and customization of an MMO, while its TV counterpart exudes the scope, story, and drama of a classic sci-fi epic. Because they exist in a single universe, the show and the game will influence each other and evolve together over time, with actions in both mediums driving the overall story of Defiance.